Do Contemplative Communities have Room for Social Issues? Do Contemplative Communities have Room for Social Issues? “Engineering Enlightenment & Applied Contemplative Science”: This was the title of one of my favorite talks at the Buddhist Geeks conference that I attended in Boulder, CO this past October. The talk discussed various gadgets that support meditative practice (from brain-waves monitors to virtual realities; from psychedelics to breathe-rate monitors) and the effect that such technologies might have on contemplative communities and the world. And this is why I love the Buddhist Geeks conference. Its not simply a gathering of meditators who are also interested in technology, but a gathering of meditators who are willing to think openly and progressively about any idea. One morning at the conference, while ordering my morning coffee, I ran into Ann Gleig. 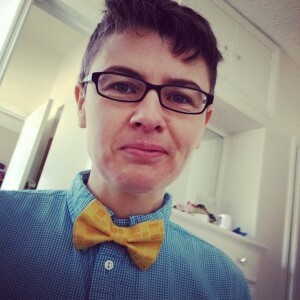 Ann is a Religious Studies scholar who is writing a book about how the Buddhist Geeks conference is postmodern in its willingness to embrace such a variety of ideas and practices. As I had met Ann at last year’s conference and had been inspired by her work, I was excited to connect with her once again. With steaming coffees and Boulder-esque gluten-free baked goods in hand, Ann and I sat down to catch up. We talked about a number of things, including my Geography senior thesis project in which I looked at how the Brooklyn Zen Center both reproduced and challenged the class tension that often accompanies gentrification. To my delight, Ann complemented the balance of my analysis. She explained that many scholars focus solely on how modern contemplative organizations reproduce class tension and that this is one-sided. Such organizations also often have a positive effect on class tensions (e.g. 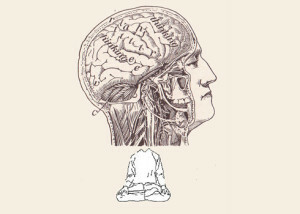 mindfulness can lead to increased emotional intelligence, which allows practitioners to empathize with people of different socio-economic classes). Such an intersection of contemplation and social issues was a major topic at the Mind & Life International Symposium for Contemplative Studies in Boston, MA, which I attended one week later. The Mind & Life conference focused on what the Contemplative Education and the Transformative Education movements can learn from each other. While many people reading this blog may be familiar with Contemplative Education (doing mindfulness exercises in the classroom), fewer may be familiar with Transformative Education. Transformative Education focuses on equity and social justice; it gives students the practical tools to go out and actually transform society for the better. A take away from the discussions at the Mind & Life conference was that the Contemplative and Transformative education movements are inextricably intertwined and need each other. We can’t expect our students to go out and transform society for the better without giving them the necessary emotional skills and we can’t expect our students to be emotionally at peace without encouraging them to transform an unjust society. We can’t expect our students to go out and transform society for the better without giving them the necessary emotional skills and we can’t expect our students to be at peace without encouraging them to transform an unjust society. 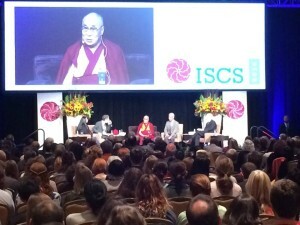 For an organization that has historically focused on contemplative neuroscience, the discussion of social issues at the Mind & Life conference was a first and did not come without resistance. Many attendees expressed hesitancy to expand the scope of the conference from the ‘hard sciences’ to issues of education, leadership, and social justice. Their reasoning is that, as a field, contemplative neuroscience is just now beginning to garner attention, so it is a risky time for Mind & Life (the defining contemplative neuroscience conference) to diffuse resources toward other fields. While I see this reasoning, I simply can’t ignore the centrality of social issues in the contemplative movement (or any movement, for that matter). Regardless of history and intention, Mind & Life now holds international attention. To not utilize such attention to help the global contemplative movement expand its understanding of suffering from the personal to the social would be unskillful. Serious stuff aside, one of my favorite experiences from the Mind & Life conference was going out to lunch with a group of ten or so new faces (a commonality at such events) on the last afternoon. People hailed from all over the world and were PhDs and artists, meditators and educators. I ended up spending the rest of the day with two of them. 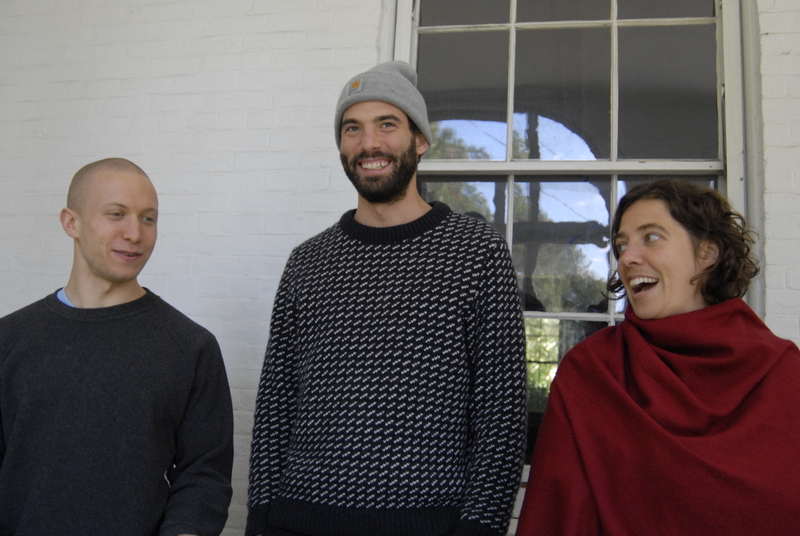 We wandered from coffee shops to museums, from kirtan chanting to watching a movie at the Cambridge Zen Center about the Mamos (an inspiring native people from Colombia). At the end of this fun day, I made a connection with a fellow who may facilitate me leading a retreat for the Gross National Happiness Youth Group in Bhutan in 2015. This was the icing on the cake and the perfect way to end my conference hopping extravaganza. This opportunity was grounded in social justice and contemplation and built from real people making real connections with the intention of going forward, helping humanity to solve its problems. As a child, Toby’s Awakening began with Yom Kippur fasting, wood wandering, and Shamanic Sweat Lodges. In 2011, Toby met Soryu Forall and began practicing, teaching, and researching mindfulness more seriously. As a practitioner, he likes mining his emotional body sensations as a source of wisdom and using his physical senses to – like a ninja – be hyper aware of his surroundings. As a teacher, Toby specializes in Self Actualization and working with people who suffer from anxiety. Toby has taught mindfulness in a variety of settings including: in-person and phone-based retreats, after school programs, and college campuses.While at Vassar College, Toby conducted a Social Studies research project entitled, Reflection, Reproduction, and Challenging at the Brooklyn Zen Center: Complexifying Cultural Capital, Gentrification, the Mindfulness Movement, and Scale and a Cognitive Science research project entitled, Breath, Self, and World: Pioneering Meditation Pedagogy. Toby’s sense of Responsibility includes Social Justice, Political Geography, and the power of live music. Toby joined CML in July of 2014 and is in heaven. Hi Toby, Thanks for the shout out. And also for bringing attention to centers like the Brooklyn Zen Center which are bringing a much needed social justice component to contemplative life. I’d also like to mention the great work on diversity and social justice being done by the East Bay Meditation Center in Oakland, CA and the Buddhist Peace Fellowship, in Berkeley, CA as well as individual figures such as the Rev. Angel Kyodo Williams and Lama Rod Owen. Work by these institutions, sanghas and individuals has the potential to make a big difference in diversifying the historically predominantly white, m/c, demographics of American convert Buddhism and bringing social justice concerns as compassion-in-action to the forefront of contemplative work. I ran into your Dad at the N. Pomfret PO. Hadn’t seen him in a long time and we had a good hug. We caught up a bit and he mentioned your involvement with CML, which I think is wonderful. Looks like a very loving community, and, based on your blog post and bio, it sounds like you are doing some great work in the world. I had the opportunity to be part of a group in Woodstock that formed the first non-sectarian Mindfulness Practice Center based on Thich Nhat Hanh’s teaching (I think it was around 2000). I continue to write about non-duality in my blog, Centerless Center. I hope you check it out. I’m looking forward to your next blog post and hopefully meeting up with you some day soon so we can talk about this stuff. If you ever get down to Pomfret, give me a call (457-4843). Oh, I spent quite a bit of time with Evan while he was here. He was, is, working hard to discover his centerless center and doing a great job of it. Get updates on our various offerings. Sign up for our email list, which gives you access to our Zendo Cam, Newsletter, and other special offerings.